Just got a message from GT that his brand is currently available in CA, OR & NY. Testing is being conducted on the new formulation to make sure that it will be compliant before they release it nationwide. 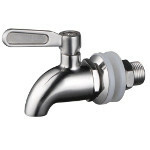 It is anticipated that it will be back on the shelves by the end of the month or early September. GT Dave is the man behind Synergy Kombucha & GT’s Kombucha. Kombucha’s current popularity can be directly attributed to him. My first taste of Kombucha was the Gingerade and I’ve been hooked ever since. I was glad to have the chance to discuss some of the current issues regarding the Whole Foods recall with him recently. KK: How did you first hear about the recall? GT: We were notified by Whole Foods. WF had received information from some other brands who had concerns about the potentially elevated levels of alcohol present in the bottled product currently in the market. 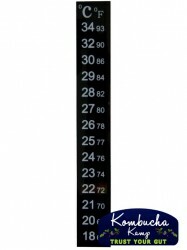 KK: So this was this recall issued by the FDA? GT: No. It was issued by Whole Foods. **UPDATE** – TTB to investigate alcohol levels in Kombucha to determine if it needs to be regulated by them. 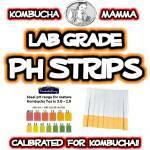 KK: How elevated are the levels of alcohol in the Kombucha? GT: They have not revealed that information to us at this time. From what we understand, this is a technical issue in regards to the label. The exact levels have not been substantiated but it sounds like they are still below or at 1%. A glass of wine has 14% alcohol, presumably one would have to drink 14 bottles of Kombucha in that transformed state to even reach that level. 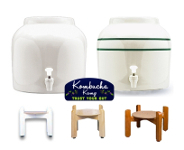 KK: Does the amount of alcohol affect the positive effects of Kombucha? GT: No. The amount of alcohol is so slight that it doesn’t negatively impact the health benefits or detract from them in any way. KK: How long do you think this situation will last? GT: This is a situation that occurred with product in the marketplace currently. We are doing our part to identify the problem, resolve it and move forward. We don’t want to beat it to death. We want to put an end to the speculation. We all want to make a product that is compliant and sell-able. This is a speed bump or hiccup. KK: How do you anticipate dealing with this issue? Do you think you will reformulate your mother i.e. 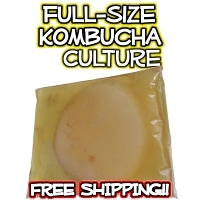 using microbiology to select specific types of bacteria and yeast known to not create alcohol as a byproduct and combining them to make a new mother from which to ferment subsequent batches of Kombucha? GT: We are looking at every single aspect of the production to remove any likeliness that this will occur again. Although we don’t have a definitive time frame, we are hoping to be back on the shelves sooner rather than later. KK: How concerned are you about other Kombucha companies and even big names like Coca Cola (Honest Tea Kombucha) entering the market? GT: I feel there is enough room in the marketplace for all of these brands. We each bring something different to the table. I, personally as an owner and creator of the product, don’t pay attention to other products on the market because each flavor I create is an expression of my own personality. KK: Where is your Kombucha brewed? GT: It is all brewed in our facility in California. KK: I know that you personally taste test every batch. How much Kombucha do you drink in a day? GT: I drink on average 1 ½ – 2 gallons of Kombucha a day. Moderation is essential in life. I wouldn’t recommend people drink as much as I do. It’s part of my job – I am the guinea pig. No matter how much I drink, I never reach a level of I’ve drunk too much and now I’m sick. 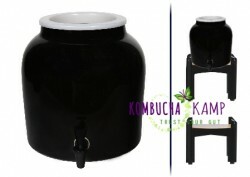 The Kombucha is so clean and resonates so nicely with the body. KK: Most people wouldn’t be able to drink that much Kombucha on a daily basis. Why do you think it doesn’t affect you negatively? GT: I live a clean and healthy lifestyle. 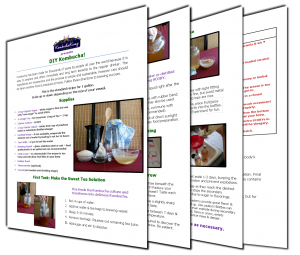 Kombucha only creates potentially adverse reactions when they are detoxing someone who may have a toxic lifestyle. Most people who have a very clean lifestyle’s experience is similar to mine where they can drink several bottles and not have negative reactions. KK: What do you mean by clean lifestyle? GT: I am incredibly conscientious in my lifestyle and diet. No alcohol, no drugs, nothing artificial, vegetarian, athletic, organic – it all plays a role in your overall health. KK: Do you ever feel “high” or “drunk” from drinking Kombucha? GT: I always feel high when I drink Kombucha just like I feel high when I workout. The definition of high is questionable. No, I don’t feel drunk. Truthfully, I’m such a lightweight when at social gatherings and I comply with the social pressure to carry a mixed drink in my hand, I will consume only a few ounces of alcohol over the entire evening and feel tipsy. I never feel anything that’s even close to a buzz or feeling tipsy when I drink Kombucha. The alcohol levels in Kombucha are really insignificant. KK: What do you do with your spent cultures? GT: We use the cultures as compost. We work with another company that specializes in compost. It is more eco friendly to return them to the earth rather than continue to process them. Since it is organic to begin with, the best place for it to go is back to the earth. KK: Do you have any other thoughts or comments about the situation? GT: Proper communication and precise information are critical in times like these. The last thing we need is speculation or for there to be a backlash. 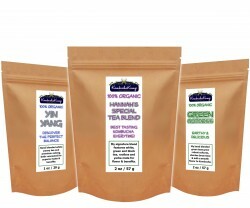 We want our customers to feel like Kombucha is something reliable and credible. And we certainly don’t want to blow things out of proportion. These recent events are pretty isolated. We’ve maintained a pretty impressive track record prior to this incident. To put it in perspective, there is no food illness here, there is no contamination, this is a technical issue. * Within the last few years, there are industries that have had serious recalls of their food items that had resulted in illness or death. None of that is going on here. Any suggestions on how to get rid of even that small bit of alcohol for someone not allowed to have ANY alcohol. would keeping it open in the fridge do it, since I heard that keeping it open in the heat increases alcohol content. 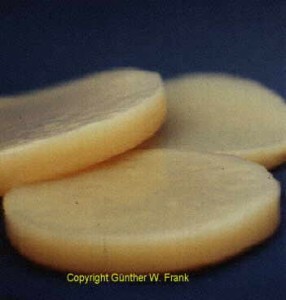 The trace amounts are there as a preservative and do not intoxicate. It would be near impossible to remove ALL of the alcohol other than allow it to turn to vinegar. 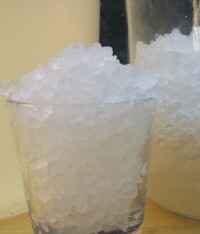 You can always sweeten with juice or a little sugar when drinking to make it more palatable. I agree that home-brewed is the way to go but it's nice to have a commercial brew available when you're away from home or need a new mother. Also would support people like Dave and wouldn't touch the Coca-cola product if you paid me. 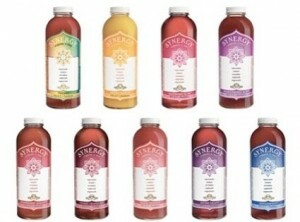 Thanks for helping get the straight story out on the Great Kombucha Shortage of 2010! Very helpful links and information. am so glad to read your info on my wonderful Kombucha, I have been drinking it almost daily for over 2 years and I love it. There is definitely a health benefit to drinking it. I've introduced to many pals and family..I was having trouble buying it for the last few weeks and wondered what was happening. Thanks again for the insight and I only hope that this will pass and will be able to go to my local markets for this wonderful elixir once again! This smells to high heaven of a hit by the big money boys , these scum have suppressed or made illegal one natural green product or energy device after another , and look what they have done to the electric car , the air car , if most people new the truth they would be ill . Oh wait many of us are ill that's why we love GT Dave's product so much , and of course the pharmaceutical companies don't like this either , that's why I have gone back to making my own today , just received a starter mushroom in the mail . it looks and smells right , wish me luck ! The owner of my local co-op told me today that this affects ALL kombucha brands, not just GT. I think the bogus "honest" teas are exempt, because they are not the real thing. I tried one in Dublin recently, thrilled to have found some Kombucha on my travels, but it tasted off, and then I saw "herbal tea" on the label… anyone who brews their own kombucha (as I do) knows you can't make it with herbal tea! So, what they're hawking isn't even legit, IMO. it's very important to note, that what these retailers are doing is not a recall, it is only a voluntary withdrawal and it is in conjunction with the suppliers. there are some serious concerns over labeling law compliance and ultimately it will be better for the consumer. several companies have been working toward fixing this for some time and they should have their product back out on the shelves very soon. Can we PLEASE get Kumbucha back on the shelves at WF's(Ann arbor, MI). I am having a green Kumbucha metldown over hear. It has even been pulled off the shelf at Hiller market also(my back up supplier). 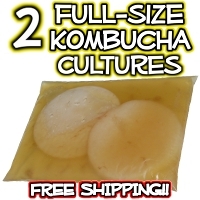 Can we PALEASE get Kumbucha back on the shelf! I am having a green Kumbucha melt down!!! I even called Hiller's market (ann arbor, mi) who used to sell it and they have pulled it as well. Bring back Komucha. Missing my Mango so much. I agree, even if Honest had a better tasting kombucha, i would never consider purchasing Coca Cola. If the FDA was a legit agency, most everything available at the grocery store would be illegal. I also don't understand why the other kombucha companies think that by leveling the playing field, people will start buying their product. Now that you winy little snitches have called crying to the whole foods begging them to cheat for you, i will never under any circumstances purchase your pathetic products. I heard the interview with high country kombucha, i heard the inflection in his voice when he all but named gt's, trying to blame the alcohol on the fruit juice. Don't you see that you can not win, you will fail because cheaters will not win. People know what they like and the market dosen't and can not ever belong to you. You might be able to hurt gt's, and hurt consumers, but it will not benefit you, your kombucha dosen't sell because it dosen't taste good, no matter what the competition. 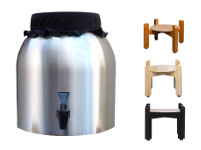 If i want to drink kombucha strictly for health benefits i'll brew my own for next to no cost. To top it all off the other brands are more expensive, quit whining guys you can't steal market share, so either give up or put your minds to making a good product. Yeah, I was just going to bring up the Coca Cola competition issue. Glad someone beat me to it. Yes, very peculiar. 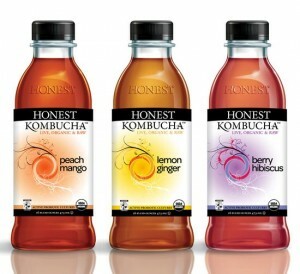 And even it people raved about "Honest Tea" kombucha I would not buy it and support CC. Home brew might be more potent but gt daves makes the best tasting beverages of any genre, i've ever tasted. I drink three a day, i didn't learn untill the shortage that i liked the grape and strawberry flavors so much, and now i can't get them anywhere, please don't change the recipe, or if you do, keep the old one for direct purchase or get a liqour license, or something. I think this whole mess is due to the fact that EVERYBODY drinks GT's brand, and these wannabe newcomers for some reason can't understand why nobody is drinking theirs? Maybe it's because Dave taste tests each batch. I have tried all the brands and nothing compares to gt's. For a company like coca cola who sells poisonous soft drinks to kids, you have to really doubt their health drink. How is it that Gt's has been selling for 12plus years and suddenly right after coca cola enters the market something changes. P.S. I wonder what GT'D's personal supply looks like. Sell me some. Thank you for interviewing Dave. I emailed Sprouts and their response was it was a voluntary recall by GTS and they expect to carry the product again when GTS restarts distribution. I need my Kombucha fix!! You are absolutely right about that Deaf258. Kombucha has been homebrewed for over 2 millenia. Part of the tradition is also the passing along of the information on how to prepare it safely. I was so ticked when Sprouts also stopped carrying kombucha! I guess the homebrews are the way to go as long as safety and cleanliness guidelines are followed. I can see tasting but consuming? And is he really sitting around all day sipping every batch? Could there be time left in the day to do anything else? Let it be known that I'm not a defender of the stuff in the bottle the big guys are calling "kombucha." The stuff we make ourselves is where the true health benefits are coming from and from what I've been taught, this is medicine, not a thirst quencher. He's got to make sure it all tastes good since every bottle has his name on it!! GT: I drink on average 1 ½ – 2 gallons of Kombucha a day. Moderation is essential in life. Whuuuut? That's just gross. 4oz of raw, undiluted, unpasteurized, unfiltered homemade kombucha is all you need if you're making it right. The "consumption generation" attitude on this stuff is appalling. Great reading, I was wondering details, thanks. Great post! I was wondering what was going on with the kombucha recall. I don't really care about the minor alcohol content, I just want my WF to start carrying it again!